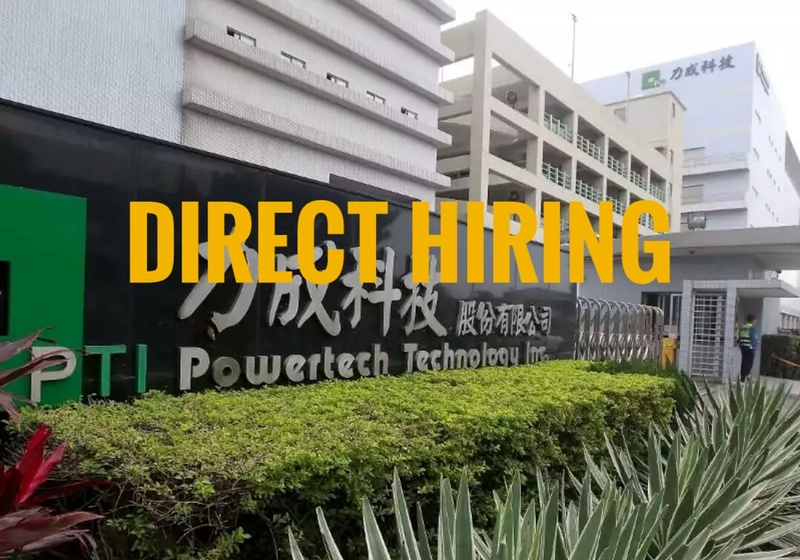 Taiwan's Powertech Technology Inc (PTI) will directly hire 50 Male/Female Factory Workers via government to government program under Department of Labor and Employment (DOLE) and Philippine Overseas Employment Administration (POEA). Bring all original documents for verification upon application. Applicants should register online www.eregister.poea.gov.ph. Deadline of submission of application will be on April 04, 2018 for regional offices of POEA and April 06, 2018 for Ortigas Office of POEA. Interview date will be on April 25, 2018. Powertech Technology Inc (PTI) is a leading provider of backend / package service for integrated circuits. All PTI plants are based at Hsinchu, Taiwan. Please register first in POEA online database and follow the instructions. Paline up.Nagpasa na po ako ng mga reqs dyan sa POEA ortigas december last year.Salamat! JEROME M. PASCUA, 25 Y/O,BS INFORMATION TECHNOLOGY GRADUATE.Complete docs and a 4 yrs and 10 mos experience in a industrial manufacturing company. Papaano pag andito na sa taiwan at gusto lumipat ng company? Bawal poba mag apply Ang mga high school graduate? di po ba pdi highschool grad. Pag more than 12 years napo sa taiwan pwede pa po bang mag apply same company? pano po amgapply s mismong compony? Good day! Tanong ko lang po pwde po ba transferies?